I want my FREE eBook! Fill out the info below to instantly receive your FREE eBook. What is in the ebook? 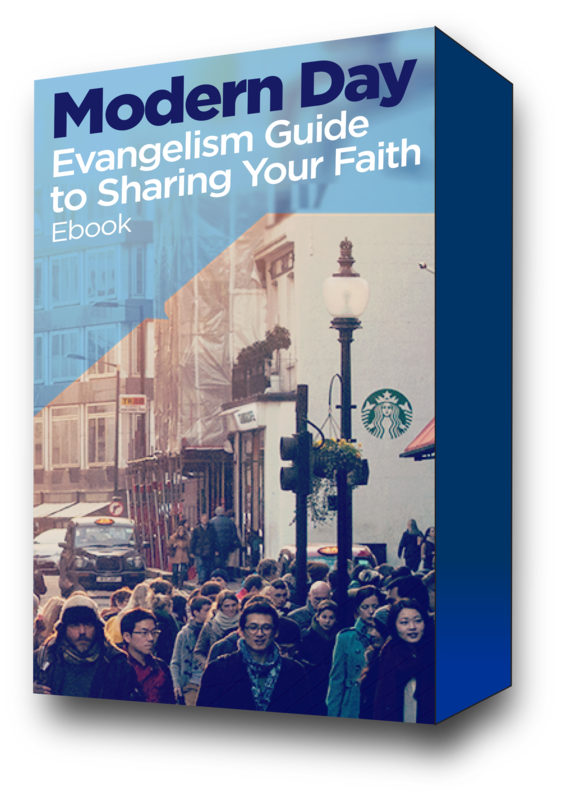 In order to equip you to evangelize and share your faith with others we must first start with defining evangelism and explain exactly what the Bible says about it. This section dives into the scriptures and specifically looks at what we can learn from the Master evangelist, Jesus himself. It’s challenging and downright awkward sometimes to share your faith in today’s world. We investigate the top 7 reasons we have found in our research that make evangelism difficult in the 21st century. Some of these might be obvious, but you might be surprised with what we found. Tips and strategies for making evangelism a part of your everyday life. Practical tips and creative ways like utilizing our evangelism tool to make sharing your faith easy and not awkward. Sharing your faith in today's culture can be challenging, but it doesn't have to be. 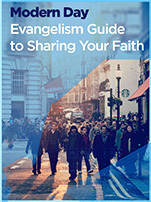 We have created an evangelism guide that makes sharing your faith easier and not so awkward. One idea, once a week for practical ways to share your faith in everyday life. This leading symbol of non-profit transparency & accountability is presented by GuideStar, the world's largest source of non-profit information.